Free Online Whois Checker 2019 allows you to get the details of a domain with one click. The Whois checker tool uses a unique algorithm that can read up to 10 domains at a time. You can generate complete Whois data at a time. Just visit the domain (the URL of the website) in the space provided and click on the "Check" button. With the whois search tool, there is no reason to manually collect all information related to a particular website. With this tool you can save a lot of time and effort. Our Whois Domain Checker collects all the information you need on any domain name. This tool allows you to start with 10 domains at the same time. This is a report that shows the domain registration information, the domain name, the server name and contact information, the expiry date of the site owner or the webmaster. One of the main goals of a search engine optimization (SEO) campaign is to promote your website, get a lot of pages and attract more visitors to the site. You can use a number of strategies to achieve this. One is to share links to popular websites or page authorities in your area. 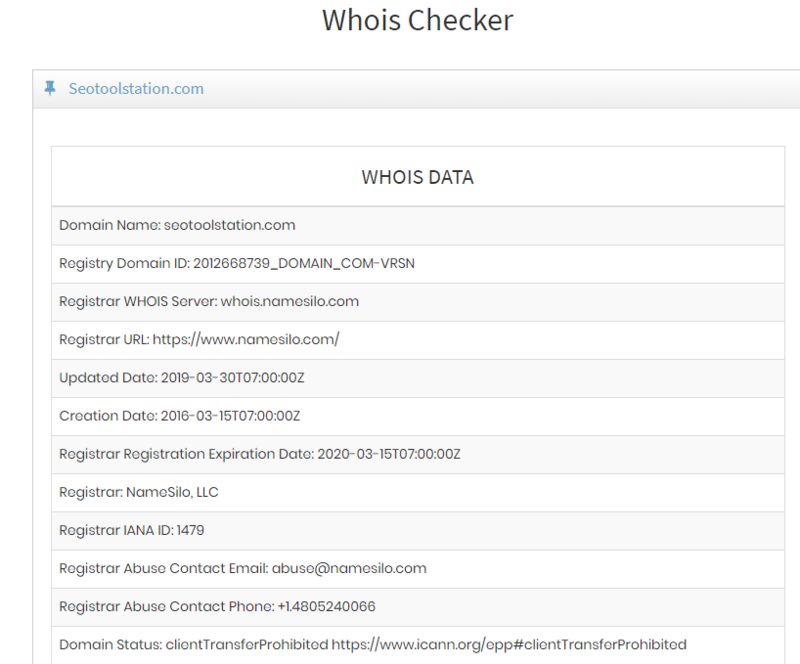 The Whois Checker tool can help you get information about your website. You can also use the Whois Domain Checker to get the best information from your competitor's website. Once you have the information you need, you can create good SEO activities for your website. You can write the strategies that you use on your website. Whois Checker is very useful to get Whois data from any website. This can be useful if you want to post a particular website to see the flaws in your site, you can use that data. By taking all the necessary details, if you want to take legal action, you can take the necessary steps. The fastest and easiest way to get the information you need. This allows you to verify that the domain is still registered.